Is Elvis dead, or is he some geriatric geezer in a dilapidated East Texas nursing home? Why does Ossie Davis think he’s JFK? There’s no clear answers to any of the questions posed either here or in the movie. What is clear is that two octogenarians with the assumed personalities of Elvis and JFK, respectively are facing off against some unnamed Egyptian mummy in cowboy attire with the munchies for people’s souls. If you know anything about Bruce Campbell (Evil Dead, Evil Dead 2, Army of Darkness), you know that there’s laughs to be had. 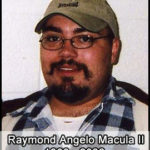 And indeed there are, as well as a lot of drama and some horror. 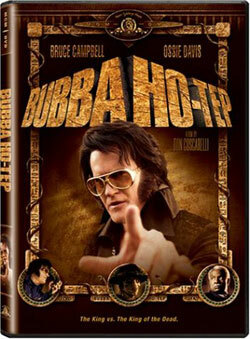 As I said Bubba Ho-Tep combines comedy, horror and drama all in one rather off-beat Indy film. It’s not a laugh a minute romp, like Army of Darkness, nor is it some spine tingling horror thriller, like the Golden Girls (that’s some sarcasm right there, for you folks.) Anyhoo, there’s plenty of each for the viewer and I found it quite refreshing from the textbook crap Hollywood continues to ooze out. Final score: 6.